I have always been having issue with my introductions to my blog posts, i have this annoying thing about wanting to get to the meat of things right away. This GM Nostalgia piece is something i sort reminded myself about the other day, it’s a fairly short piece but this time it is an anectdote instead of a map or drawing. I am going to take you many years back, back to an old homebrew campaign world. In this world you could find a ring of mountains, i would advice against it but you could. Inside this ring of mountains you would find a dreaded region, a region where a terrible king rules. Any daredevil adventurer foolhardy enough to travel there, will find many deadly challenges. Between you and the evil vampire knight that rules here, you will find many many undead things. But they are not wandering outside this mountain ring, though there is a passageway leading both out as well as in. To traverse this passageway in any way is a terrible idea! The reason all those terrible bump in the night things have a hard time surviving that one passageway and spread into the rest of the world? Enter the cave of beholder walls. A system of caves is the only way into the region by foot unless you want to climb the treacherous gigantic mountains and you might want to opt for that scenic route if you are the smart one and dare the mountaneer challenges instead of the caves beneath. Entering this cave system you will find the walls soft to the touch, or that is to say softer than stone atleast. But this will be the least of your worries once you enter one of the caves. The fleshy walls begin to sprout leather eyestalks, the likes of which you have only heard tell of from ancient legends, whispers, rumours and old manuscripts. It appears as if someone stretched out ancient beholder beings as wallpaper inside these caves. You will be terrified when you learn that these eyestalks are fully armed and operational with all of their beholder powers! Why oh why did i come up with the idea of a cave with walls of beholders and their eyestalks? Honestly i do not remember, something had to keep the undead locked away so they would not spread forth and ruin the world right? Something also had to keep people out so that one day heroic adventurers would be needed to venture into these caves… right? Tadaaa.. Caverns of Beholder Eyestalk walls. In any given room in this gateway dungeon i would roll randomly which PC was a target and randomly roll which beholder eyestalk power would attempt to target them. The adventurers would hack away at eyestalks until they were all chopped off. The end. Now on paper it sounded awesome and terrifying, but have you ever been so caught up by an awesome idea that you forget all about using it proper and fair? I know i have, often, it turns out that my implementation was too overpowered. I didn’t do it quite right in hindsight. I actually killed a PC too and there’s a whole drama thing going on still to this day about my random rolls not being random because somehow the dice wanted to target this paladin about 12 times with the disintegrate ray, the PC that had the best save of all.. it does not sound random.. but i still swear to this day that it was. I kind of botched the whole thing having a pc die this way, of cource someone is gonna push up daisies if you crap 12 disintigrate rays at them not to mention all the other terrible beholder eyestalk powers. I still like the concept, but think that in a new implementation it is gonna need better mechanics and use by GM. Hindsight being 20/20 as they say, i carried out this idea terribly. But i don’t think that should fault the idea itself. However, one could argue that maybe the powers should be trimmed down abit to make it less of a deathtrap and more of a fair challenge. Unless there exists some tool, some way, some magical item that would allow you to tranverse the caves more easily…. ? I brainstormed a few points on what to do on a refurbish of this idea, mind you its a pure brainstorm as the ideas came to me nothing else. bigger cave system, with barren areas for resting. the whole system of beholder walls has a central brain, much like certain underground societies, so that it can be defeated instead traversed. the eyestalks are blind to something specifc, maybe a colour? only a few specific powers could be preserved in the wall, 3 ? 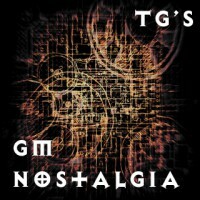 This GM Nostalgia piece is something i might revisit in the future in an effort to make a better implementation. How would you implement a cavern system of beholder walls? As always it has been a delight travelling down memory lane reliving some of my old GM stuff for yet another Nostalgia piece. Previous post: Warlock’s Journal Winner!